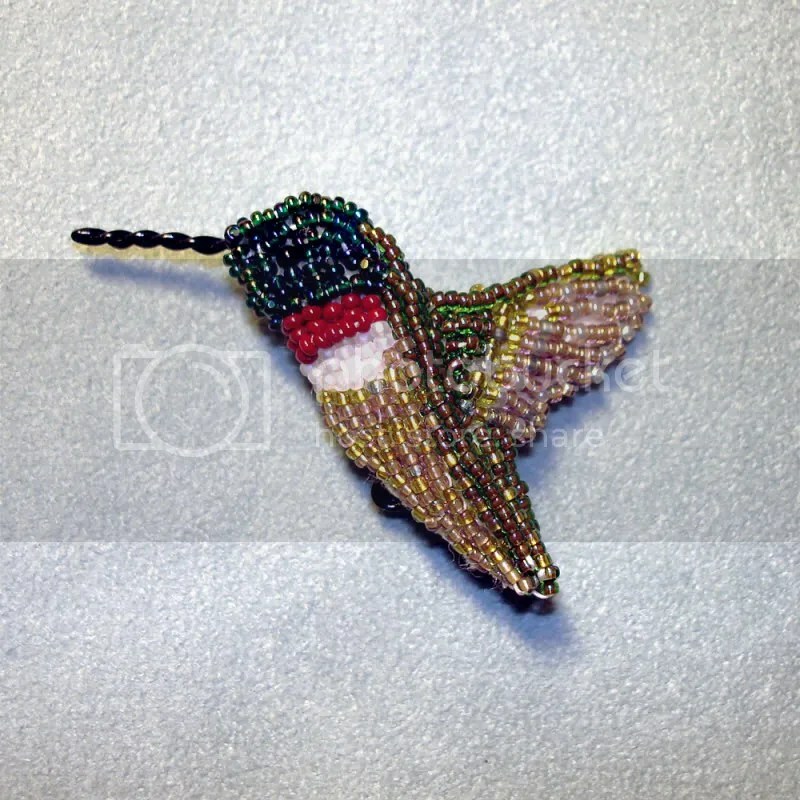 Beaded Ruby-Throated Hummingbird brooch. 1.5″ tall x 2″ wide (4 cm x 5cm). Bead embroidery on felt. Click for more pics! >Thanks everyone for the comments! Unfortunately, my small apartment has no place for bird feeders of any kind. I don’t think the condo association would approve! >I love your hummingbird – I think they’re magical birds that only grace humans occasionally. >I love hummingbirds, and you’ve done such an amazing job! All your stuff is amazing! >Impressive work. 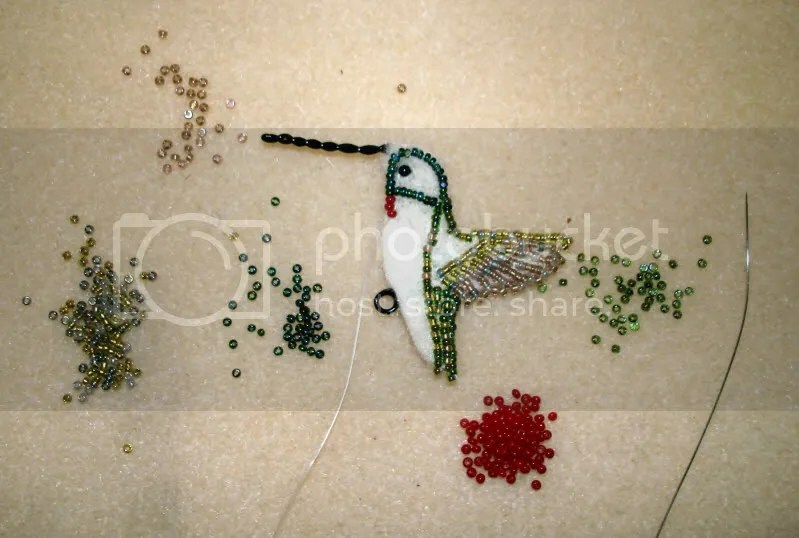 I don’t know how you have the patience, but your beading is amazing! >i have a wedding dress that needs beading done. or at least close up any of them so it doesnt fall apart. im having ahard time finding someone. this is great! >Incredible. The White House is great too! Can’t wait to see the finished product. –from a fellow Mass. resident and Etsian!